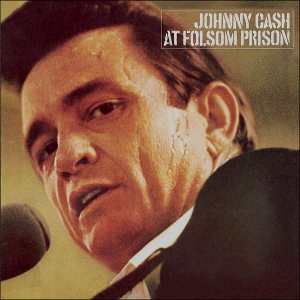 Song BMG and Legacy Recordings released Johnny Cash’s 'At Folsom Prison, Legacy Edition', on October 13 and only local Folsom, California, websites have the first listen streams from the new box set. Johnny Cash’s At Folsom Prison, Legacy Edition, a 40th anniversary 2-CD and DVD box was recorded on January 13, 1968, when Johnny Cash and his crew – June Carter (two months before their wedding), Columbia staff producer Bob Johnston, Carl Perkins, the Statler Brothers, and the Tennessee Three (guitarist Luther Perkins, bassist Marshall Grant, drummer W.S. “Fluke” Holland), rolled into northern California’s notorious maximum security lockup and gave a performance that changed Cash’s career arc and the future of popular music. Forty years later, the Cash archives in Tennessee continue to dazzle researchers with their riches. In fact, as rarely known by even the most ardent fans, and rarely mentioned in Cash writings until now – there were two Folsom shows performed and recorded that day: The first show, the bulk of which comprised the classic, familiar 16-song album; and a longer second show, the bulk of whose 26 tracks (except for two songs) were put on the shelf. Try to do another what you would like to do. May be you can also achieve very good results. Go on fighting. I believe you are able to do that. So nice blog! But I have a suggestion that you can add some humorous language up to your article. Maybe you blog will filled with pleasure.